But posterior deltoid? You never seem to feel inspired to do reverse flyes, pullups, or anything other than bench and lateral raises. What's worse you keep putting off the solution, telling yourself you'll hit rear delts during next week's workout, and then forget- repeatedly. First off, admit that you need to address this NOW, not next week. "Stop denying that you have a problem, and you're halfway to the point of making a change." The next 10% of the solution is making a plan. The final 40 percent? Execution. 7 minutes of boxer shuffle and 'top-rock' [new readers, please read the FAQ] with dynamic stretch. Seated 'Teacups' - 4x10 @ 20 lbs - focus on form and quality contraction, not brute force. Freeweight isolation fly/posterior delt - [pay close attention] set an adjustable bench to 45, then lie down on your side. Now hold a light dumbell [5-10 lbs] at a 45 angle from your waist. Now perform a reverse fly, and focus on contracting the posterior deltoid. Yes, it's complicated, and good for only one thing- but it's the thing you've been ignoring for a long time, so get on it. Notice how before starting any sort of isolation movement, the major muscle groups have already been blasted performing compound, multi-joint exercises? "This isn't a coincidence, and it's not 'old school' exercise science: it's smart bodybuilding"
Jumping directly into isolation exercises does you no favors in the long run, and can also lead to injury upfront. A progressive warm up, by going through the full range of motion using multiple joints/muscles, will prime your body to 'color in the lines' and not strain itself when you finally do perform the isolation exercises. What's more: some of the most memorable physiques have always been sculpted by using the more functional multi-joint exercises as a foundation. That said, there is a time and a place for isolation, and when you use it, try to employ a targeted and smart approach, not a willy-nilly 'man-maker' approach, where you're using drop-sets and negatives all the time, just for the sake of exhausting yourself and looking busy. One of the best kept secrets is the use of hyper-targeted isolation exercises, combined with a focus on the mind-muscle connection. 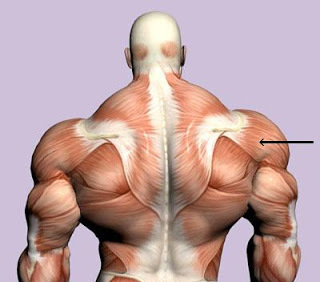 Without this, all your reverse flyes will do is strengthen the traps, making your upper back look rounded, and your chest look more hollow- even if you have big pecs! "Stay focused on the areas you want to target, and you will have a much easier time placing the volume/workload there." When you finally feel that you have hit the target, then engage it with more volume, and increase the resistance only as much as you can without sacrificing form/target work. This, in a nutshell, is why you see old films of Arnold and pals doing some really weird deviations in form: to target specific areas of the body with as much weight as possible, while getting in the volume- lots of reps and sets. Hopefully, I've successfully called at least one reader to repentance, but in the end the choice is yours: do you want to keep getting what you've been getting, or are you ready to stop feeling guilty and start feeling accomplished?